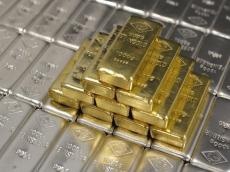 The prices for gold, platinum and palladium increased in Azerbaijan, Trend reports referring to the country’s Central Bank Jan. 17. The price of gold increased by 3.026 manats to 2,195.6265 manats per ounce in the country on Jan. 17 compared to the price on Jan. 16. The price of silver decreased by 0.0316 manats to 26.4503 manats per ounce. The price of platinum increased by 6.5875 manats to 1,366.035 manats. The price of palladium increased by 58.3015 manats to 2,315.7655 manats in the country.